The Rebel Sweetheart. : Spotlight | 16Brand BrickIt Shadow Hit 10 Choco. I haven't bought new eyeshadow palettes in awhile, because I hardly wear eyeshadow these days. 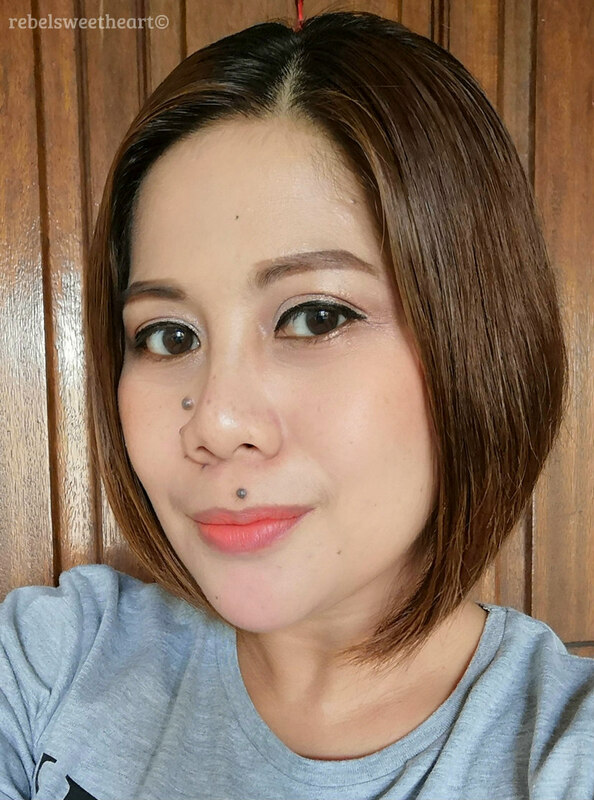 Mornings are usually a whirlwind at home which leaves me very little time to do my makeup, let alone worry about cut-creasing my eyelids. Yesterday, however, I found myself unearthing my eye makeup brushes and trying on new eyeshadow colors. My beloved Althea family sent me this charming eyeshadow palette as a gift, and what am I supposed to do with it other than to play with the colors and try them on? This is the 16Brand BrickIt Shadow Hit 10 Choco eyeshadow palette, a product of popular Korean beauty brand Chosungah 22. 16Brand is known for its line of 'fun makeup', with its off-the-wall product concepts, quirky packaging, and vibrant colors, and this eyeshadow palette is a perfect example of what a 'fun makeup' is. 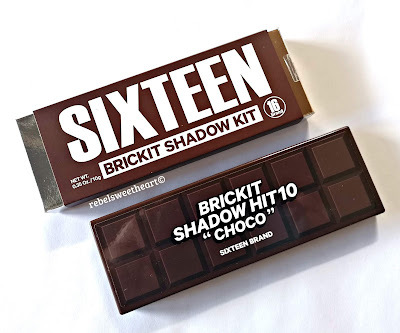 16Brand BrickIt Shadow Hit 10 Choco. 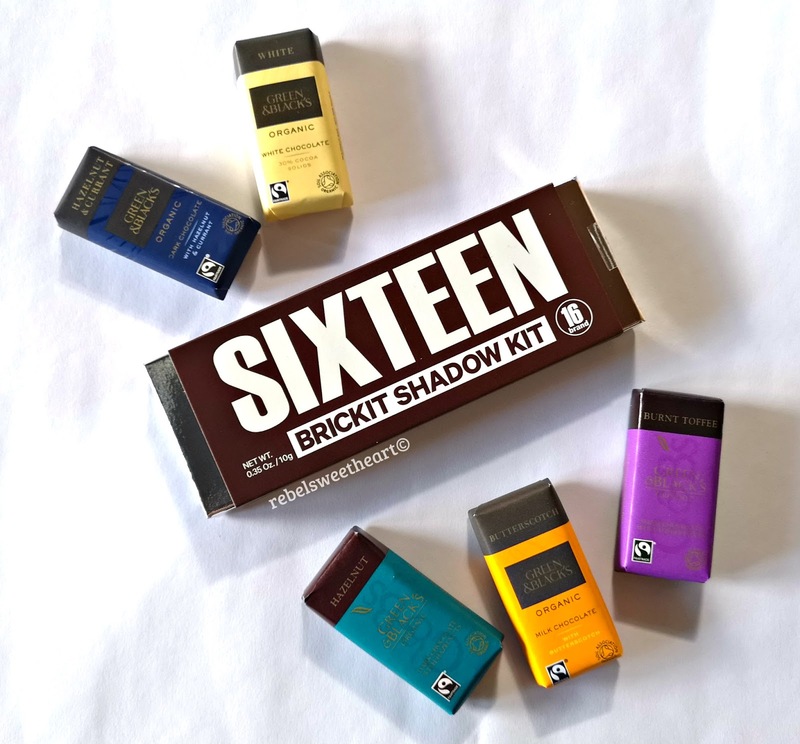 As its name suggests, the 16Brand BrickIt Shadow Hit 10 Choco comes in a chocolate bar-inspired packaging. This neutral eyeshadow palette has a mix of pink and brown shades in matte, satin, and shimmery finishes which allow you to create a range of sweet, feminine looks. They're great for everyday wear, and you can work with the darker shades to create soft smokey looks suited for evening wear. Hazelnut Syrup, Cinnamon Powder, Deep Brownie, Melting Ganache, Cacao 100. Shade names and product info on the back of the carton. 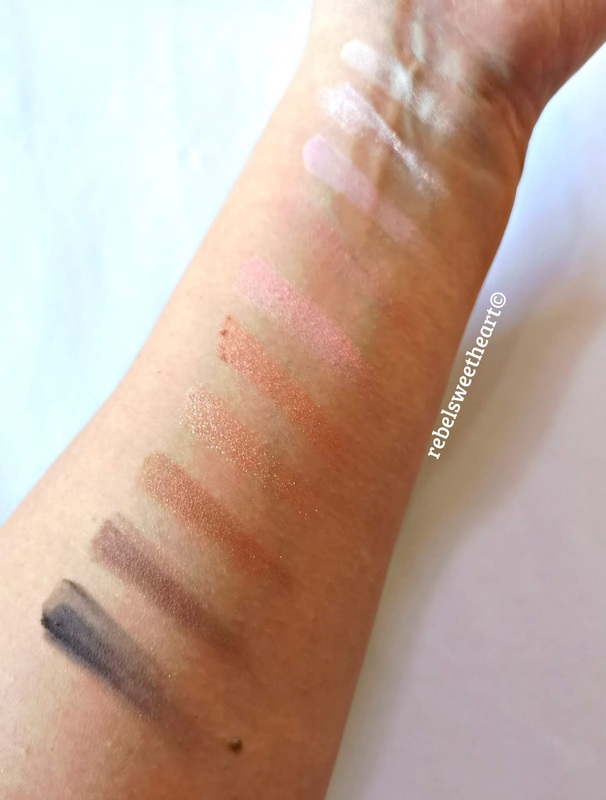 The shadows are nicely pigmented, and each of them have a soft, buttery texture. 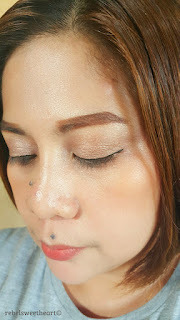 They go on smoothly and last for hours without creasing, even without an eye primer on. You might be overwhelmed by the fallout (because I was), so make sure to tap off the excess eyeshadow before application. 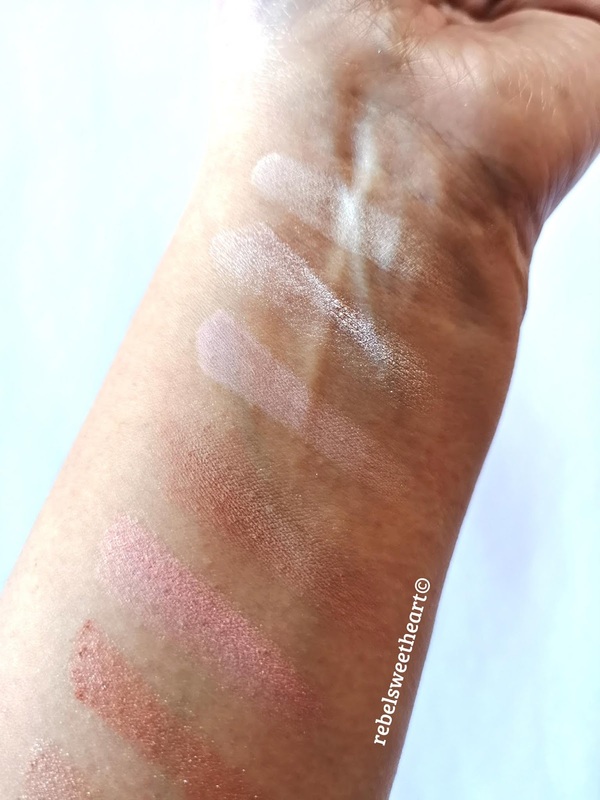 The shadows are quite versatile, and can be used as a highlighter (Rose Macaron and Cotton Sugar), an eyeliner (Melting Ganache and Cacao 100), and even as a blusher (Milk Coco). From top to bottom - Eggnog, Cotton Sugar, Sweet Latte, Milk Coco, Rose Macaron, Hazelnut Syrup. From top to bottom - Rose Macaron, Hazelnut Syrup, Cinnamon Powder, Deep Brownie, Melting Ganache, Cacao 100. My eyeshadow game has become rusty from all those months of not wearing full makeup, but I managed to come up with a pretty decent look. Played with three shades - Sweet Latte, Rose Macaron, Deep Brownie. Nothing too complicated, just three shades for a simple, everyday 'I'm-going-to-pick-up-my-kid-from-school' look. 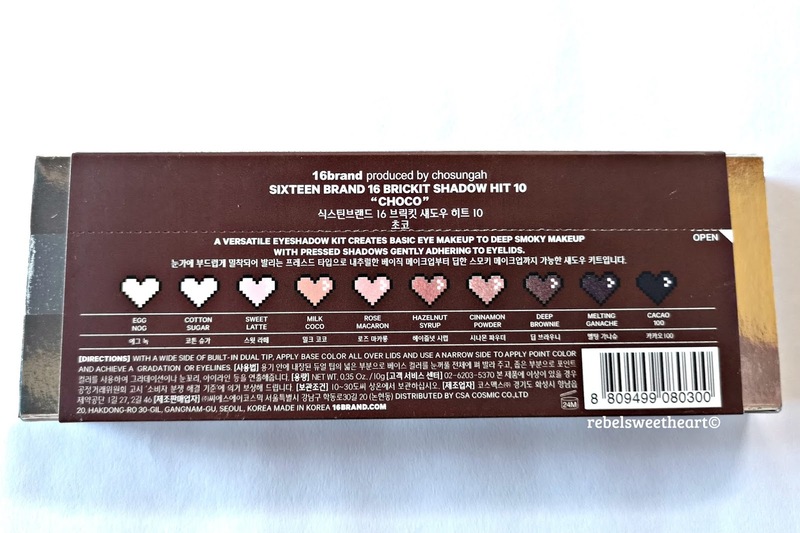 The 16Brand BrickIt Shadow Hit 10 Choco was released in Althea in 2017, as part of the limited edition Party All Night Beauty Box. The palette is still in stock at the 16Brand website and retails for 31000 Korean won (around Php 1500 or $27). This eyeshadow looks great! I will definitely have to check it out! You look cute. Keep up the good work! Never ever wear eye shadow and this post is inspiring me to re-think that. Thanks for sharing :). 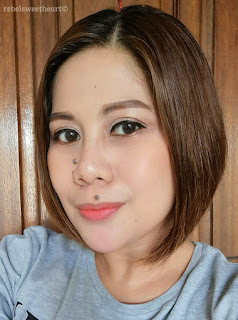 I never ever wear eye shadow and this post is inspiring me! Thanks for sharing :). I am totally loving that chocolate bar packaging! Those are the types of colours I would go for in eye shadow too. These are so lovely, love the palettes, i would definitely try this products. Nice blog. These swatches are all so pretty. I love it. OMG I don't know if I could use that! I'm doing great with clean eating but chocolate really makes me wanna break rules and looking at something that LOOKS like a chocolate bar everyday would derail me like crazy lol. Althea again! I keep saying I'll check it out but never get to do it. I will, though. I love those colors. They're light and not too loud. 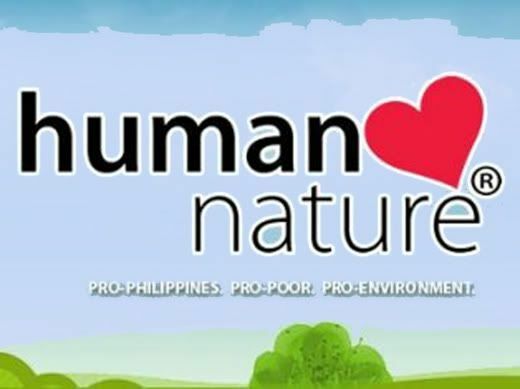 Thank you for giving us the website to purchase- 16Brand website! I feel like I really need this but want to look around first. I love the shades. And when you applied them, there aren't too makapal pala tignan. And it adds that they look like chocolate bars Ihihi. Those eye shadows looks so nice! And shades are simple but pretty. That would really match my skin complexion. Never heard of this brand before but it sounds like a great line of makeup product. Oh wow, this sounds and looks greatm this makeup product is something that I would really love. Looks like a great product. Those colors were really pretty. I'll have to check this. love it and will be a perfect gift idea to my friend too. Omg, I thought that was actually chocolate. 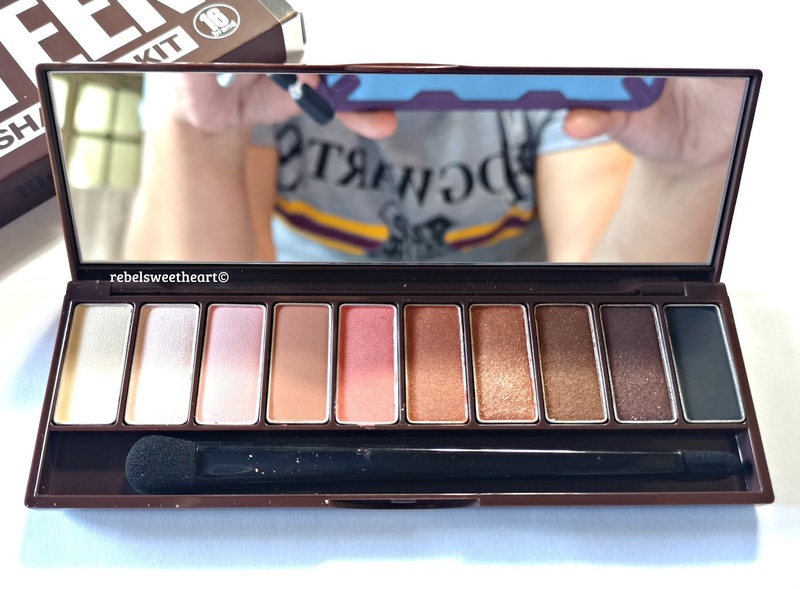 I am totally loving that chocolate bar packaging and the eye shadows. 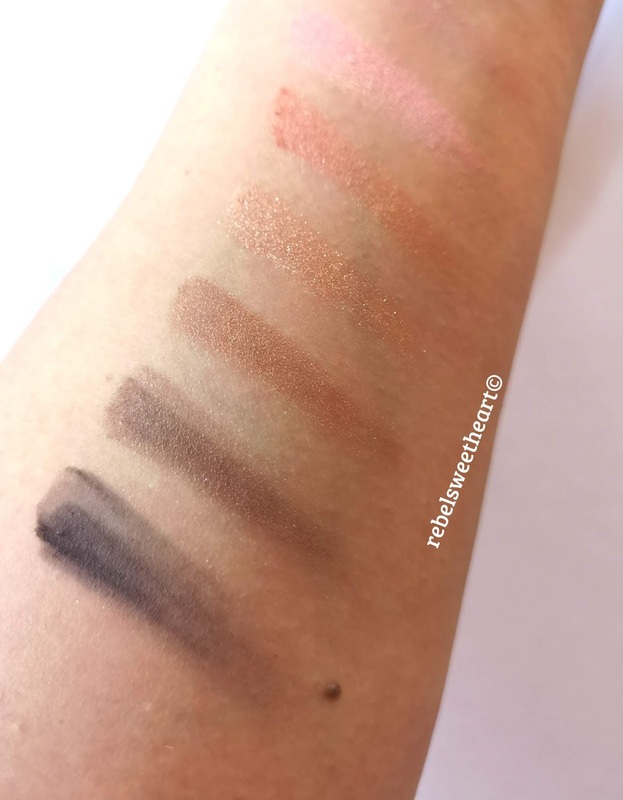 I love the shades of the 16Brand BrickIt Shadow Hit 10 Choco eyeshadow palette! Looks incredible. Packaging pa lang panalo na sis! These shades are gorgeous! I always love browns, neutrals, and light natural pinks on myself. I'll definitely be checking this out. Thanks for sharing!